I could live off of guacamole. It’s one of the best recipes there could ever be, it’s one and only downfall is how quickly it turns brown! Making it ahead for a party is almost impossible, or you end up having to scrape off a layer of guac later on because it has turned a yucky shade of brown. And then my husband went to Guatemala as a translator for a week and ended up spending a lot of time in the kitchens too! He learned the secret from an amazing Guatemalan woman! We tried her tip at home this week and I was shocked! 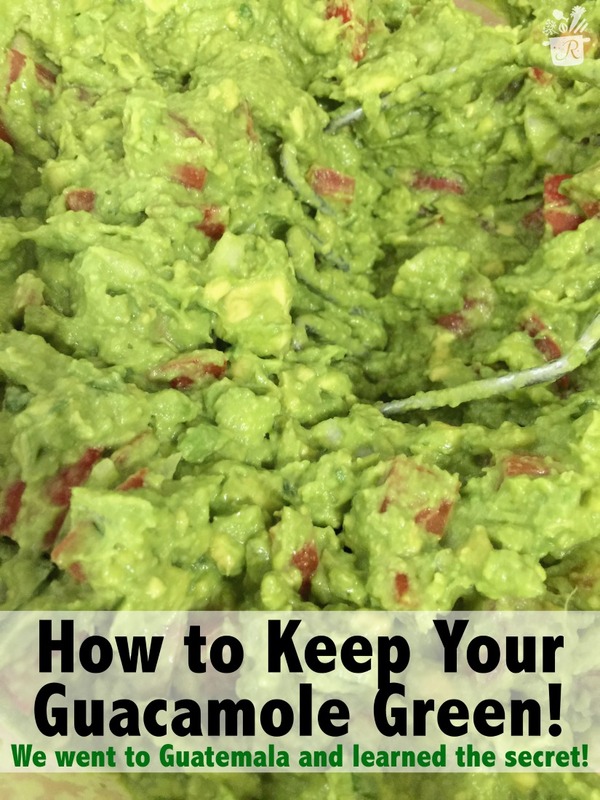 Not only were we able to make guacamole a few hours before a party and it stayed green, we were actually able to eat leftover guacamole the next day without throwing any of it out! 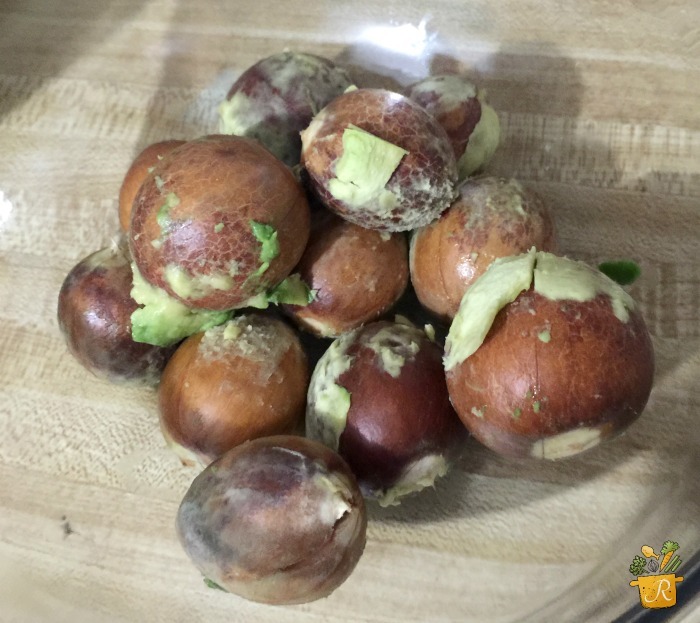 The avocado seeds have a big secret! They are one huge step towards greener guac! Make your guacamole how you usually would, but be sure you save the seeds from the avocados, they are going to come in handy! When you are done mixing your normal ingredients for the dip, add in a few squeezes of lime juice, and dump the avocado seeds into the mix. Stir it all up, so there’s plenty of lime and seeds to go around. Lastly, cover with plastic wrap. NOT the top of the bowl. 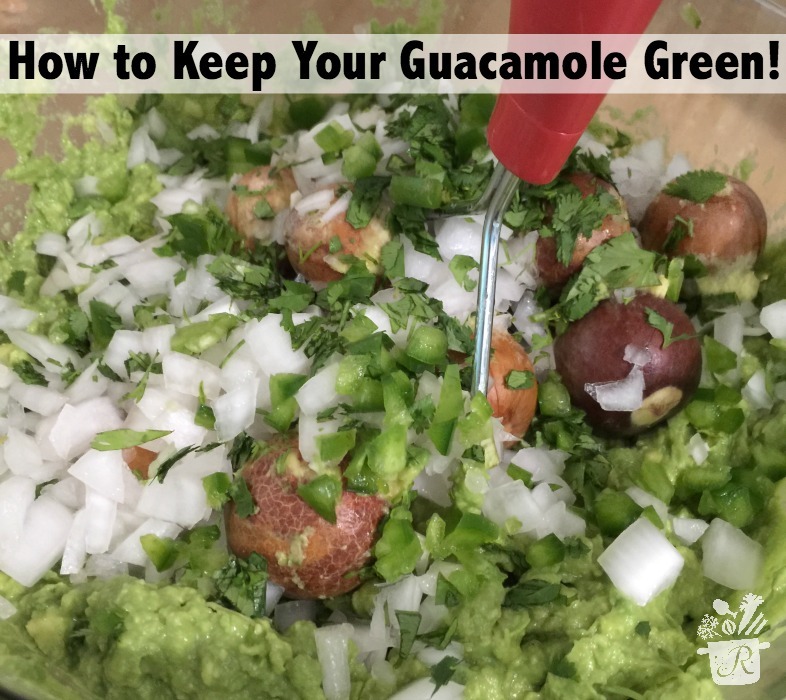 Instead, put the plastic wrap directly over the guac itself, making sure the edges of the plastic go up with the bowl for about an inch, ensuring the least amount of air seeps through as possible. These three things, equal green guacamole, even a day later! We ate it all, so I didn’t get the chance to see what it would look like on day three, but let’s be honest, guacamole is always eaten before any other dip anyway! Try our favorite guacamole recipe here! 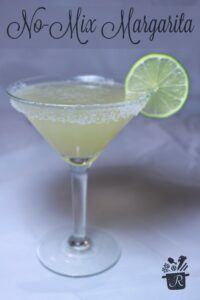 PS – Partner your green guac with our recipe for a tasty no-mix margarita! Thanks so much for the tip!! I hate it when it turns brown. Thank you for your secret tip.. It will help.